Is SEO for contractors a real thing? Can SEO be of any help for home improvement companies? Should you, as a contractor, invest into SEO for your company’s website? What is the role of search engine optimization in the growth of a business? These and many other critical questions will be answered in our guide to SEO, published for the growth of contractors and home improvement companies. This is why you should stay until the very end, and also be sure to subscribe to our weekly newsletter which is focused on helping your business grow by the hour. Search engine optimization is a huge deal in the world of online marketing. SEO is one of the most-searched topics online, with a staggering 83,70,00,000 results on Google. Now, this is because of just one reason: SEO helps businesses grow their presence online. Think about it: the first thing that you do when you go online looking for a service or product is jump onto a search engine—most likely, Google. This is the same process your customers have. If they’re looking for a plumbing service, the first thing they’ll do is go online, Google something like “plumbers near me”, and will then browse the first page of results until they find what they’re looking for. What if you’re a hardwood flooring company, or light fixture installers, or any other kind of home improvement business? The same process occurs with your customers as well. Focusing on SEO for your home improvement company means that you’ll be putting yourself on the path to rank higher on the specific terms that your target audience is looking for. Your website will climb higher on the search results page, giving you a better chance of earning traffic to your site. 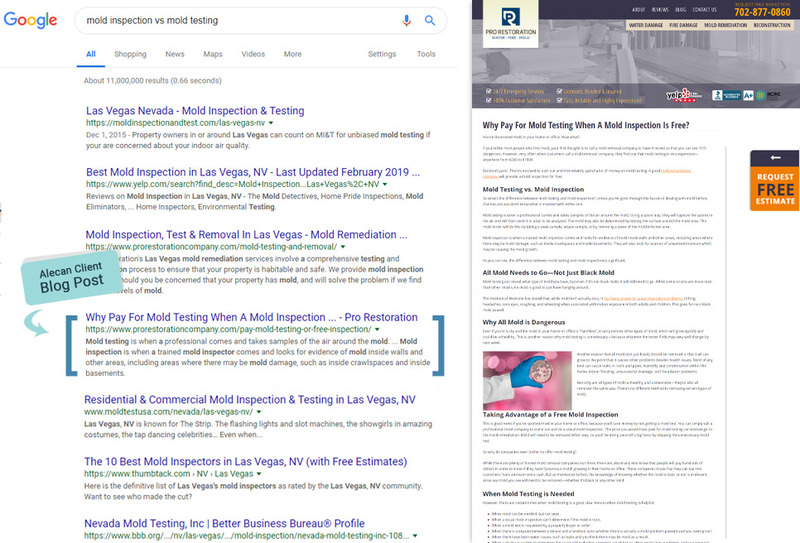 When we took on our client, Pro Restoration, we boosted their organic traffic by almost 130% by properly optimizing their website, which enabled it to show up for specific search terms related to their business. No matter what type of business you’re in, there’s always the challenge of an increasing number of changes that search engines create in their algorithms every year. Moz, a leading SEO journal, has said that Google makes changes to their algorithms nearly 600 times a year. So do you need to update your SEO tactics every two days? Not necessarily, but then again, you also can’t let your home improvement website sit dormant for months on end. In the world of digital marketing, what worked yesterday could be considered spamming today. Bottom line: no matter how many changes search engines bring, SEO is never going to go out of style. So let’s learn exactly what search engine optimization is, and what it entails. Search engine optimization is a complex array of different strategies used by businesses and advertisers to rank websites on search engines. To be honest, the definition of SEO isn’t as complex as the actual process of executing the SEO strategies. Basically, it boils down to optimizing your business website for search engines like Google, Yahoo, and Bing. And why would someone do that? Because your business website is your online real estate. It’s no different than your storefront. It just happens to be online. Think about your storefront location. How do you catch the attention of potential customers there? Location and appearance are a big part of it, right? The same goes for your website. The top results on search engine pages are the prime real estate that everyone is fighting for. With SEO, your end goal is to beat the noise and get your website front and center for the popular searches in your industry or niche. For example, if you’re a company that does kitchen remodeling, you want to be ranking for search terms related to your specific business, such as “best kitchen remodel company near me” or “best rated kitchen remodeling Los Angeles”. Internet users looking for kitchen remodeling services will turn to Google to make these searches. They’ll type in a search term related to your industry and go for the first few websites that show up on their screens. This is where you definitely want your home improvement company website show up on their screens. To understand it, we have to learn how search engine optimization works. To understand how SEO functions, you have to understand the factors that play huge roles in SEO implementation. We call these SEO ranking factors. Google and other search engines have defined factors that they use to determine what content ranks on their results, and where. Content is the information you put up on your website. It can be anything from blog posts to videos, or a page on your website that provides specific information for visitors. Let’s go back to the kitchen remodeling example. The content on your website needs to be relevant to the type of services you offer. If a potential customer searches for “custom kitchen remodeling” and your website is optimized for that search term, your site will show up in Google. However—and this is a really important part—your site needs to provide the visitor with relevant information that they’re looking for. If your website doesn’t provide the visitor with specific information, videos, or graphics about custom kitchen remodeling, your website isn’t relevant to them, and they will click away fast. This will send a signal to Google that tells them your website isn’t relevant to that specific search term. If this starts happening too often, your site will begin to drop in rankings for these search terms. But there’s a lot more to SEO for home improvement companies and contractors than just this. Content and backlinks have gained huge popularity when it comes to search engine optimization as well. Backlinks happen when other websites link to your website, mostly through blogs. When your website has proven to provide quality relevant content, you will start to get backlinks from other websites, which helps in your overall SEO effort. But we’ve just talked about two factors so far. There are many more elements involved for ranking your business website organically. SEO has a number of diverse factors that all work in synergy towards improving your ranking potential. We can break these factors down into onsite and offsite factors. Onsite SEO – Factors that involve making your contractor business website design search engine-friendly. Offsite SEO – Factors that involve promoting your home improvement business website on external sites. Although accomplishing all the SEO factors can be a daunting task, when trying to effectively implement an SEO strategy, you can’t go with just one factor and ignore others. That’s why this isn’t simply a one-person operation. It takes a team to properly promote and help a business to thrive. So here’s how you can execute some of the top-ranking factors to jumpstart SEO for your business website. Let’s understand these factors in detail. When it comes to SEO and ranking your website, you must always remember that Google loves a website that people love visiting. Onsite SEO involves adjusting your site to make it easier for SERPs to index. 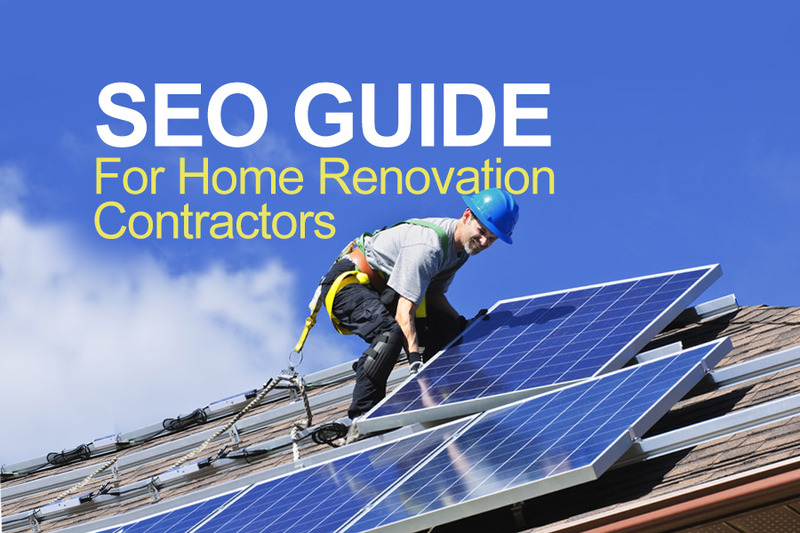 Here are a few onsite factors to pay attention to when performing SEO for contractors. Mobile has never been so important than now. It was back in 2016 that marketers’ minds were blown as mobile traffic first surpassed desktop traffic. This opened a whole new world to experiment with. In 2018, mobile traffic climbed to 52% in the second quarter. That’s huge. Therefore, Google began to put more focus on making the mobile search experience as best as it can be. It has, time and time again, pressed on making mobile optimization a priority for business websites. As a business, you want to make it easy for visitors to navigate your website on their phone or tablet. A clunky, slow website will only cause them to back out of your site and visit a competitor, which ultimately affects your site’s SEO efforts. Once you’re finished creating a mobile website, the next thing on your mind should be: How fast can I make it run? Google claims that the average speed of mobile websites in any given niche is far too slow. So what’s the optimum page load speed businesses should target? We often see websites taking up to 10 seconds to load completely. 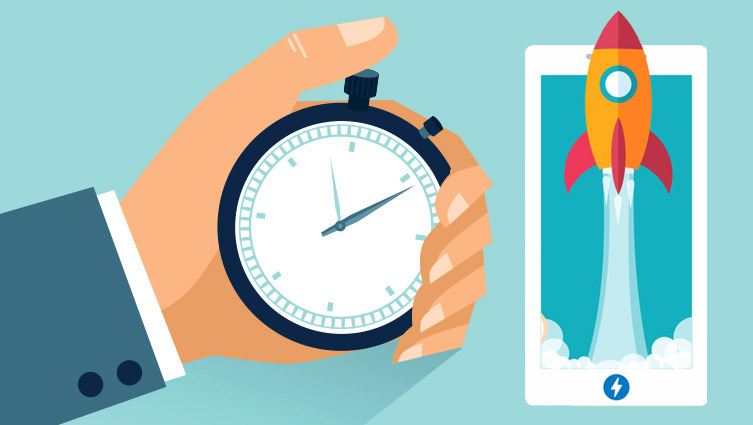 If your website doesn’t load quickly, your bounce rate will skyrocket. To increase your page speed, put efforts on compressing your images, and try removing page elements that are heavy. 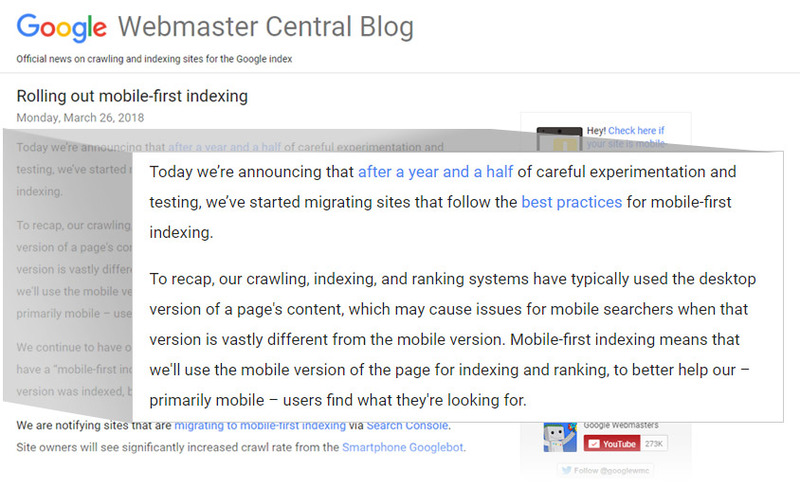 Google’s Test My Site should give you a proper analysis of where you can improve to make your website mobile-friendly. When you make mobile a priority, you’re setting set your business to succeed in 2019 and beyond. What is it that keeps your business website fresh and attracts more organic traffic? The content you put up. If you limit yourself to just a few web pages that describe your services, you won’t get any significant organic traffic. Having a website blog with rich, informational content can help you rank for commonly-searched terms. So what kind of content works to improve search engine optimization, and a website’s overall ranking? This is content that is jam-packed with great value, and when it exceeds 1890 words, it’s going to rank well in organic search results. The longer the content and the more topics it covers, the more you will be able to rank for key search terms. Not just that. The more you provide value in your blog posts, the more backlink opportunities you’ll get. When your content covers multiple topics related to the same basic topic, visitors tend to stick around more. They will begin opening multiple tabs from your website and “falling down the rabbit hole” of information you’re providing. And this will boost your retention rate through the roof! Whatever type of home improvement company you have, you can create content specific to your niche that will engage visitors on your website. The longer they stay engaged with your site, the more likely they are to consider you an authority in your service and ultimately convert into a paying customer. Writing content is one thing. Optimizing it for maximum impact is another. To make an impact, you must create a crafty title tag and a compelling meta description. These prove to be vital factors when it comes to improving your click-through rate and SERP rankings. Metadata is important and rewarding. There are businesses that have witnessed a 48% improvement in organic traffic just by optimizing their metadata for search engines. When publishing a post, make sure you include your target keyword in the title tag. It’s important to perfect the use of header tags (H1, H2, etc.) and URLs to make your blog post search engine-friendly. The headline that users see during their web search needs to be both attractive and related to what they’re searching for. You’re inviting them into your website by appealing to what they’re searching for. If you do custom kitchen remodeling and have a page designed for that, make sure you’re using those keywords in title and meta description. Are you finished with your onsite SEO optimization? If so, it’s time for you to turn your attention to offsite SEO. Your blog post is ready and published. Now we need to promote it externally, which will help your business website to achieve better site authority and ranking. Here are the off-page SEO factors you need to consider. As mentioned before in this article, backlinks play a critical role in turning your search engine optimization efforts into a success. Backlinko, a great online SEO resource, proves that there is a correlation between the number of backlinks and your website’s position on Google SERP. To be honest, in almost all SERPs, the top ranking content will have the most backlinks. Therefore, it’s very important to put a strong effort into link building. But note, link building is tricky as well. You might get the backlinks naturally if you produce a top-quality content which is SEO-optimized, or you put in effort to build them one by one. One of the strategies to earn backlinks and improve your offsite SEO is to create content and have it distributed to places other than your website. Directory Publications: Most niche industries have directory websites that list both local and national competitors. Creating a profile on these directories, adding photos/videos of your work, and linking your website is an easy way to earn backlinks for SEO. Press Releases: Most businesses that are introducing a new product or service often write a press release and distribute it to various online publications. Doing this will earn your site backlinks from those publications. Guest Blogging: A great way to get your business name and brand out there is by guest blogging for other websites. This shows that you’re an authority in your industry as well as earning links pointing towards your website. Forum Conversations: One of the easy ways to improve offsite SEO and create links to your website is by joining forums and answering burning questions people have about your industry. One of the most popular places to do this is Quora.com. Infographics: People are able to visualize information through pictures much easier than reading lengthy articles. Creating informative infographics for your website is very smart, because when other sites borrow these infographics and link back to your site to credit you, it helps with your offsite SEO. This acts as a backlink. Creating Youtube content and posting links to your website in the description. Creating videos and hosting them on your website. When other websites use the embed code from your video player to post onto their site, you’ll earn some great offsite SEO. Before anyone says otherwise, let’s set the record straight. Social media can boost SEO. 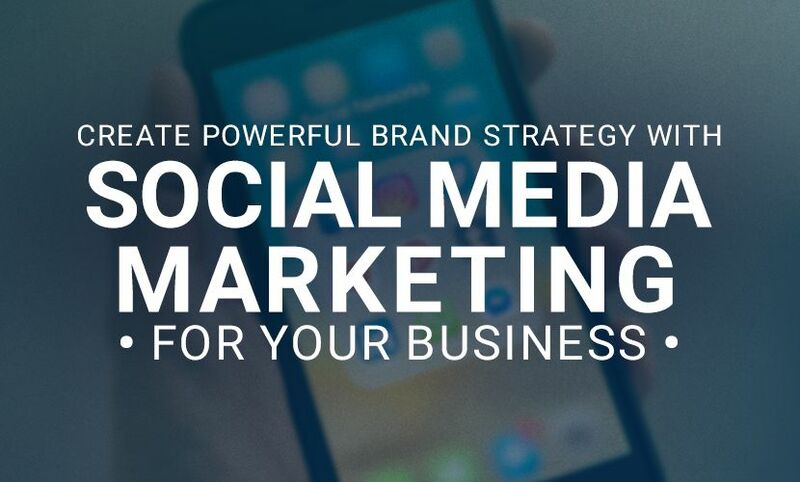 Social media improves brand promotion, builds brand awareness, and effectively boosts traffic and engagement. 53% of SEO specialists have run viral campaigns, like contests. 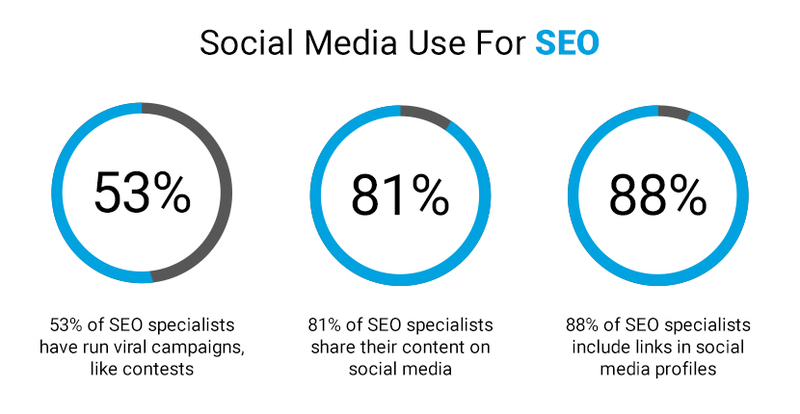 81% of SEO specialists share their content on social media. 88% of SEO specialists include links in social media profiles. If top SEO experts do it, so should you. Share your best content, engage with people, and spark a dialogue! Link the conversation to your website, and voilà! Your website will gain some serious exposure on social media if you follow the right tactics. But how would you track this to see if your hard work actually paid off? Use Google Analytics. This is the best way to start with measuring your SEO efforts. Google Analytics gives you access to key reports that can tremendously help you measure your organic traffic over time. 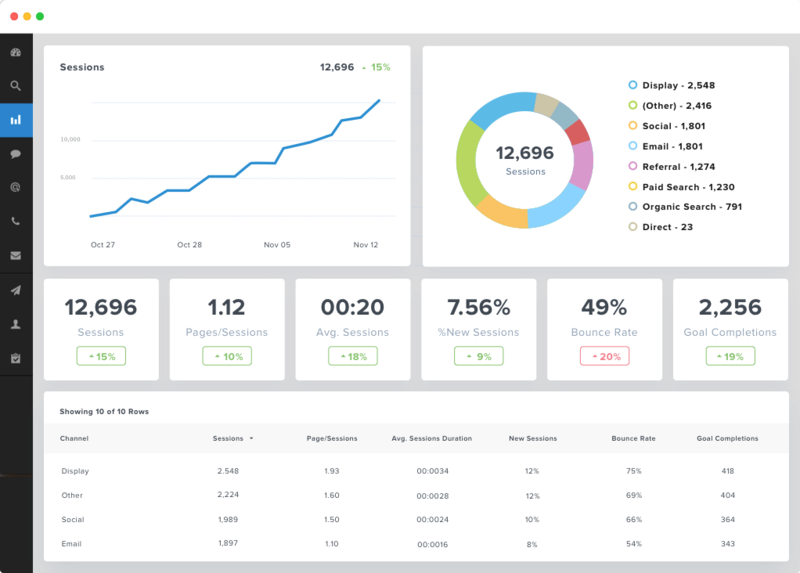 Analyze the key metrics that you believe are crucial to check the progress of your business website, then use the information to create a highly-informed SEO strategy in the future. On one hand, SEO seems a simple online marketing strategy, but its execution can become an exceedingly overwhelming and frustrating task. You can read about search engine optimization all over the Internet, but the only thing that can bring you closer to your online business goals is the execution of it. You don’t gain muscle just by reading about push-ups, right? You need to actually do it. This is the reason we recommend that business owners take on the SEO challenge as early as possible. You need to remember: SEO is a long-term investment for your business that is very valuable. The effort you make to build your brand and earn higher rankings will benefit your business for years to come. If you have any questions or are interested in our SEO services, please contact us.